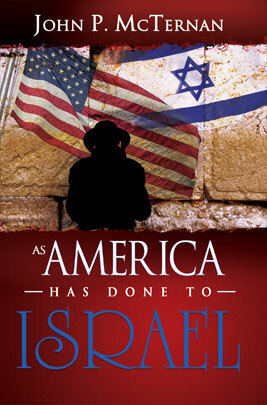 "The book that links awesome disasters hitting America and dividing the land of Israel." John uses his skills as a criminal investigator to uncover God working in American history. This is the most unusual study of history you will ever read, as events come alive when seeing God in American history. Starting from President George Washington, John shows as America blessed the Jewish people and later Israel, how America was greatly blessed. "This DVD series will give you incredible knowledge of history and current events." 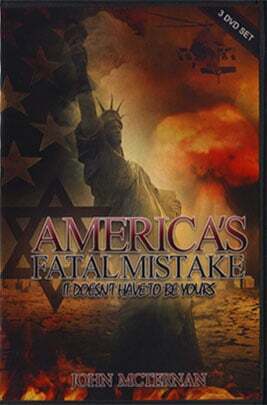 In this powerful 3 DVD series, John reveals how the blessings and curses America has endured are in direct correlation with how we treat Israel. The book and DVD series will give you incredible knowledge of history and current events. You will clearly understand Bible prophecy and where the explosive events in the Middle East are heading. "A book that you cannot put down, and a story you will never forget." 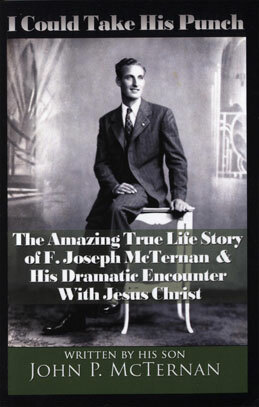 This book captures the legend of Joe McTernan. He was a legendary figure to his family and all that knew him. When reading this book, you will be amazed, astonished and laughing about his adventures and exploits. He almost seems like a character out of a novel, but all his exploits are true. He possessed incredible strength, an unbelievable appetite, along with an indomitable will. "Although this book is aimed at prisoners, it has a far broader reach..."
Although this book is aimed at prisoners, it has a far broader reach; anyone who understands the legal system can understand this message. 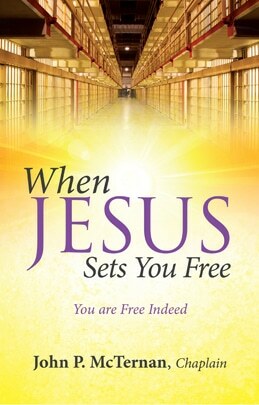 The concepts found in this book have resulted from a merger of John's 26 years of career experience as a federal agent, his intensive study of the Bible, and his ministry to prisoners. Together they have given him a unique understanding of how God deals with man through a precise legal system. If you can understand man's legal system, then it is very easy to understand God's. Chaplain McTernan has spent thousands of hours with Judaism’s counter-missionaries in defending the gospel of Jesus Christ. This resulted in him obtaining unique knowledge in how to defend and proclaim the gospel from the Old Testament. 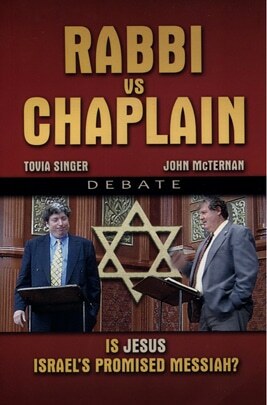 Chaplain McTernan used this fine honed knowledge during this debate.